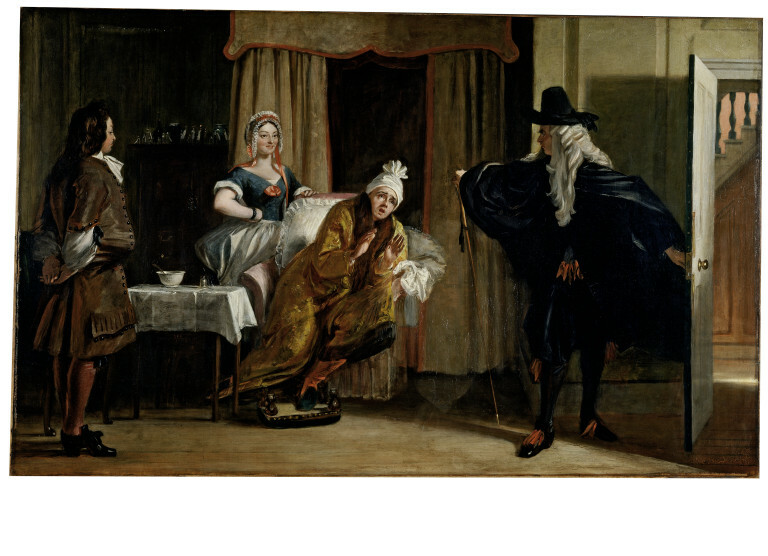 Critics admired this depiction of Molière's 1673 satirical comedy The Hypochondriac, particularly the figure of the fierce doctor Purgon. He has just listed the frightful diseases that the terrified Monsieur Argan will suffer, because Argan's sensible brother would not permit the horrible treatment prescribed. 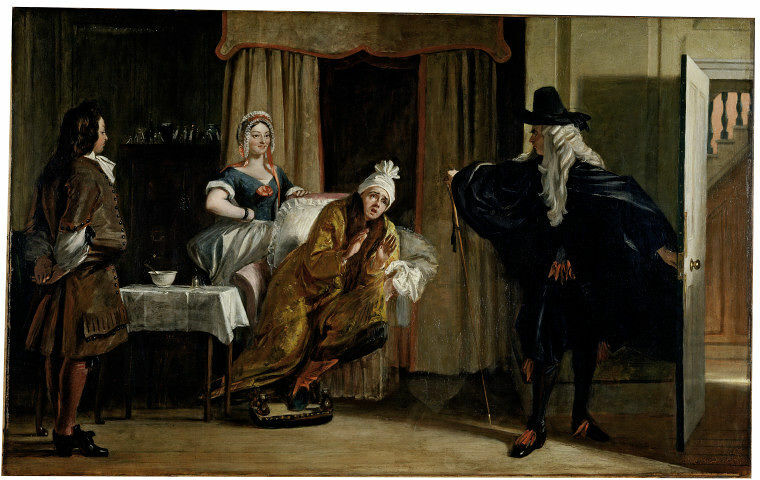 Oil painting depicting Act III, Scene 6 from Moliere's 'Le Malade Imaginaire'. 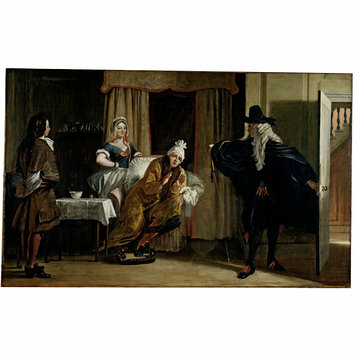 Oil painting by Charles Robert Leslie depicting Act III, Scene 6 from Moliere's 'Le Malade Imaginaire'. Great Britain, 1843.